The autocompletion allows users to select from a pre-populated list of suggestions as they type. There are a number of jQuery autocomplete plugins. I’ll create an autocomplete from the post titles and redirect to a blog post based on selected option value. 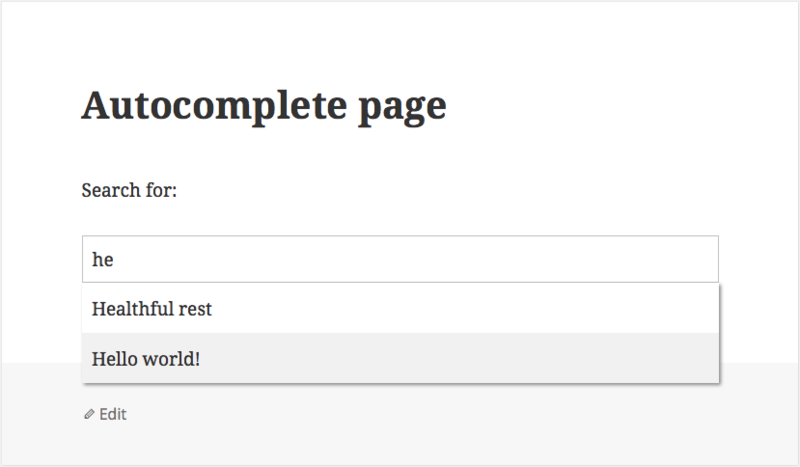 I’ll use jQuery UI autocomplete since it’s already included in WordPress. You can find demo: here. Firstly, we need to enqueue jQuery UI and autocomplete libraries. * Proper way to enqueue scripts. Secondly, we need to add a simple textbox in the front-end. I’ll attach jQuery UI autocomplete to it. I added a shortcode to output HTML text input field. Also, add some CSS to make it nicer. Also, you can customize the select drop down with _renderItem method. In this example, I’ll add an extra option to sort by sale status. woocommerce_catalog_orderby hook gives you control over the default sorting options to display. In order to add a new option, you need to add it to the current options array. Now add the following code to order by the _sale_price custom field. * Returns an array of arguments for ordering products based on the selected values. However, if your sorting needs are more advanced, then you can hook into pre_get_posts instead of woocommerce_get_catalog_ordering_args. The pre_get_posts hook gives developers access to the $query object and possibility to modify the query. It’s really powerful and useful for altering the main loop and creating custom queries. See the docs here. In this example, we’ll show products from a given category ‘Cars’ and sort them by sale status. * Get products from Cars category and sort by sale status. Version number is a parameter of wp_enqueue_style(). We’ll use the filemtime() function to return the last time the file content was modified.